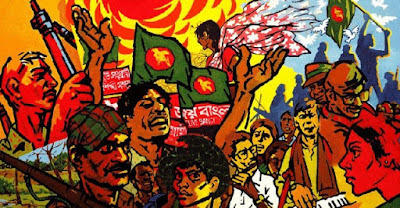 Bangladesh or East Pakistan started a revolution against the ruler West Pakistan in 1952 with a struggle from mother language. 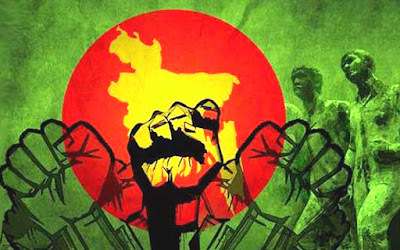 And then, the rulers created more pressure on Bangladesh and they wanted to rule the country for the whole life. But people here were not getting the proper independence; even they were unable to vote for their favorite candidate. 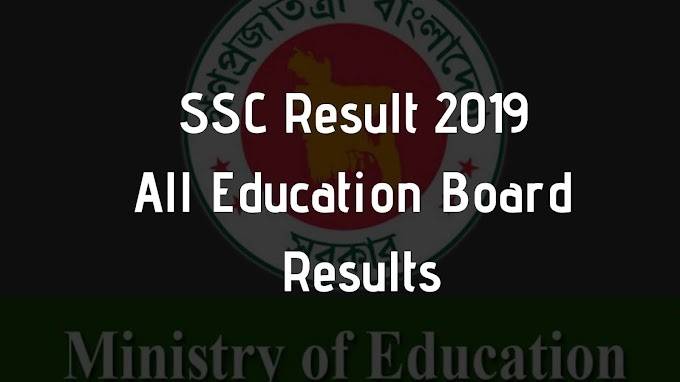 Sheikh Mujib won the election, but they didn’t let him take the power. And finally, the ruler decided to make genocide here in Bangladesh. 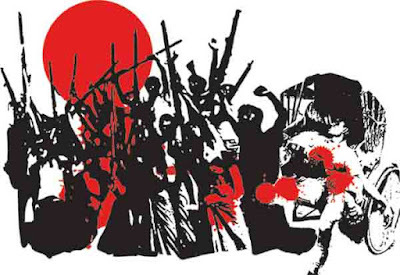 In the midnight of 25th March 1971, they killed thousands of students, civil citizens in Dhaka city. At the last part of the night Sheikh Mujib and Ziaur Rahman both calls for independence and they declare war against the ruler West Pakistan. 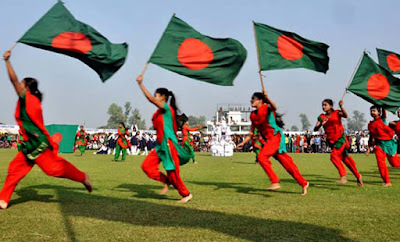 From that year, Bangladesh is celebrating 26 March as their independence day. 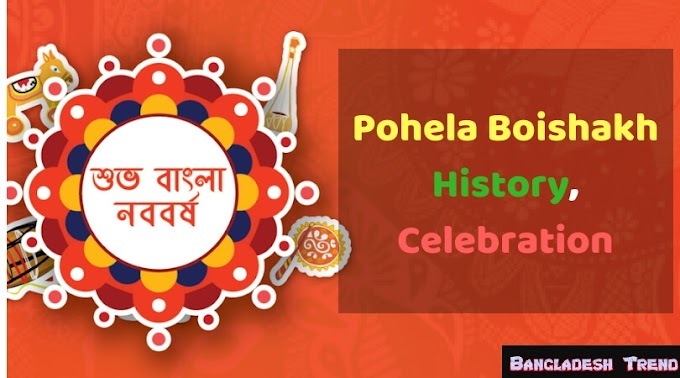 The history is pretty full of sorrow and pain, but Bengali people were able to get their loving independent after a nine-month war. In that war, more than 3 millions of people died. That was one of the biggest genocide in the history of the whole world. Bangladesh government is still continuing the judgment process for that shameful genocide. 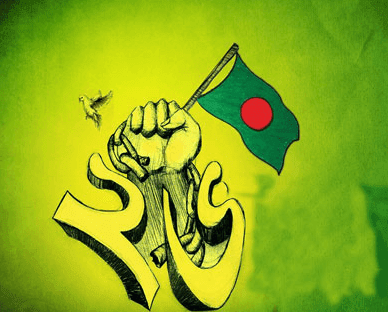 The map and the flag of Bangladesh is an emotional symbol to all Bengali people. We love our country, respect our flag and map. 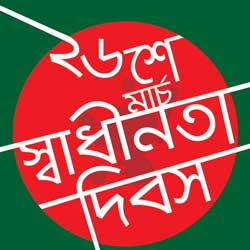 Red and green is the color of Bengali. There are meanings behind these two colors. 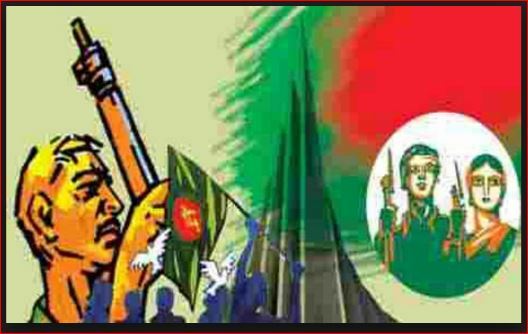 Red means blood that we gave in 1971 war and green is the natural color of our country. 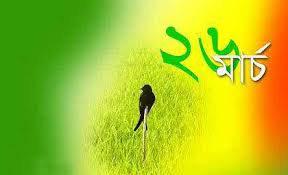 Bangladesh is a very beautiful green country, contains so many hill, beaches, and natural spot. 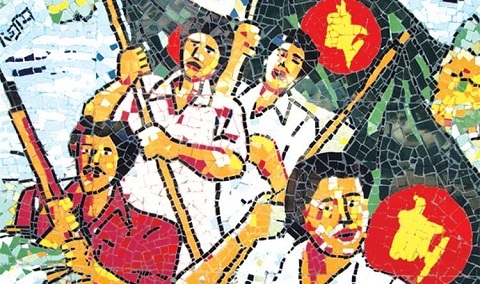 Especially people in Dhaka, celebrate 26 March with so much grandeur and respect. The celebration starts on 25th March with candle lighting at midnight, while we remember the martyrs who sacrifice their lives for our independence. Bangladesh flag is really beautiful, with color green and red. I just love that flag. There are so many wall-painting available in Museum and also several spots in Dhaka. 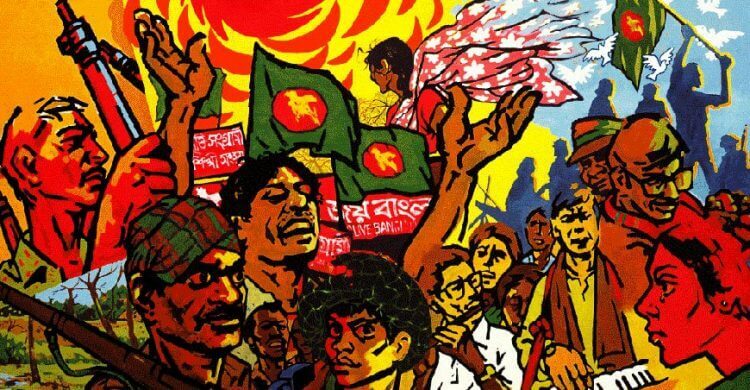 In those paintings, artists tried their best to enhance the real scene of 26th March. I love watching these paintings. This poster is based on the Bangladeshi flag. I love this 26 March Banner. You can download this one for you. 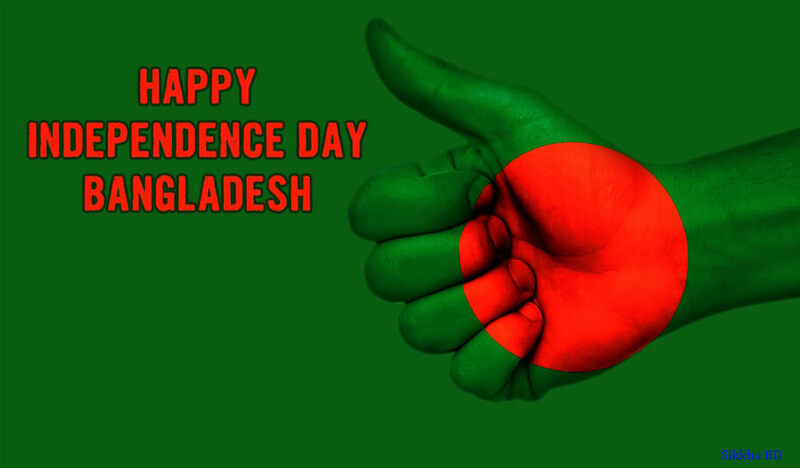 We all are Bangladesh in together. 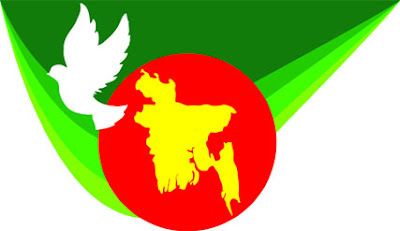 Bangladesh is a peaceful country. We have any record to mess with any country. We all living here with so much peace and brotherhood. 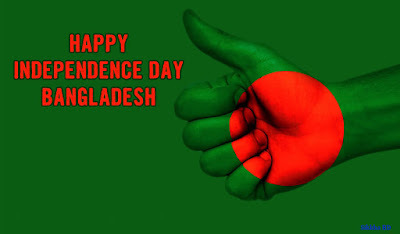 All of the schools, colleges, and universities in Bangladesh celebrate the independence day with huge function. Here is an image below that you can see few school girls are running with waving flags in their hand. 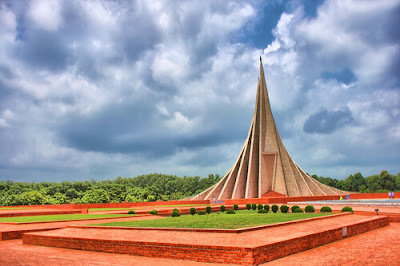 National Memorial is the biggest monument in our country that was built as a symbol of respect for the martyrs who sacrifice their lives for the country. 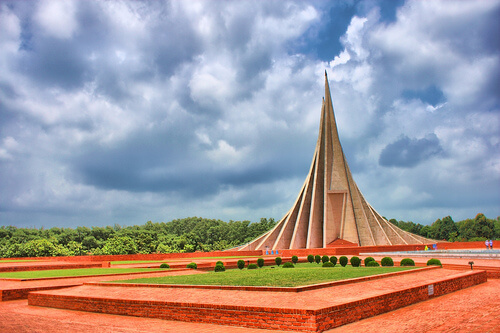 This awesome memorial is located in Savar, Dhaka. I've visited that place so many times and I suggest everyone visit this minimum once in life. The painting below actually shows the struggle that we did in 1971 against the ruler Pakistan. We always wanted to be a separate country and we succeed after the nine-month-long war. Here is a bunch of Bangladeshi flags. I love to see my country flag. 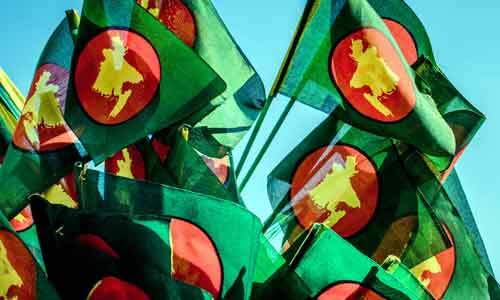 Because we have got this flag with nine-month war and sacrificed millions of people lives. Ziaur Rahman was one of the leading people in the war of 1971, in that time he was captain of 'Z Force'. He has a huge contribution to our independence. He was elected as President of Bangladesh later. 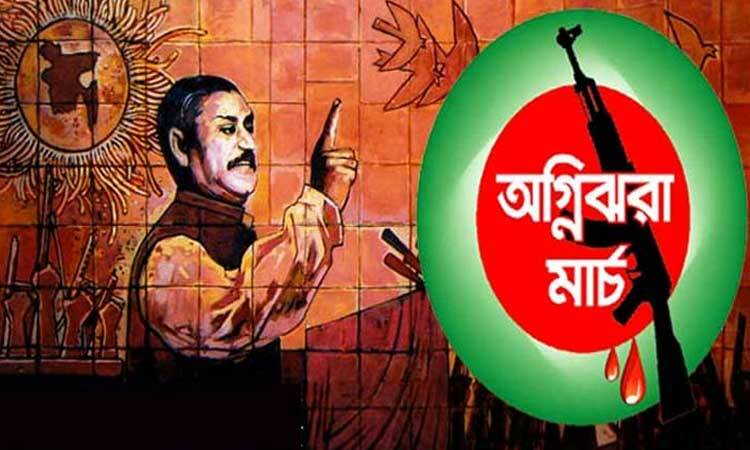 Sheikh Mujibur Rahman is the best leader in the history of Bangladesh. We inspired people with his awesome speech on 7th March in Dhaka. Actually, he declared independence on that day with a deep message. In the liberation wartime, he was arrested in West Pakistan jail. After the victory, he came back and elected as President of Bangladesh. 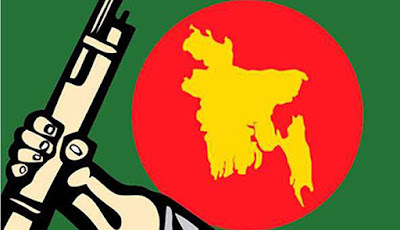 That is a symbol of the liberation war in 1971. The girls and the women also had a crucial rule in 1971. Maybe you've listed the name, Jahanara Imam. 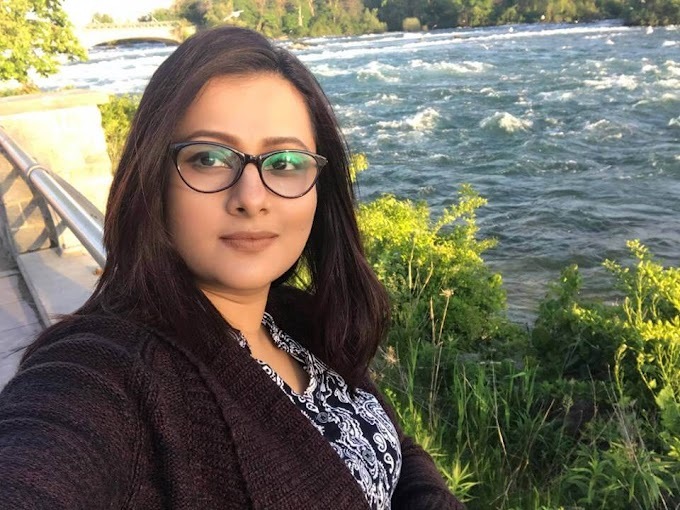 She has written a book named 'Ekattorer Dinguli'. In that book, she said about her Son Shahid Rumi. Who sacrificed his life for freedom, he refused to go to the USA to study. He said he can't leave his motherland in this difficult situation. He fought and he sacrificed his life. 26th March is the most emotional and respectful day in our life. I'm sure you will love these 26 March images and wallpapers. Don't forget to share these with your friends and family with Facebook.